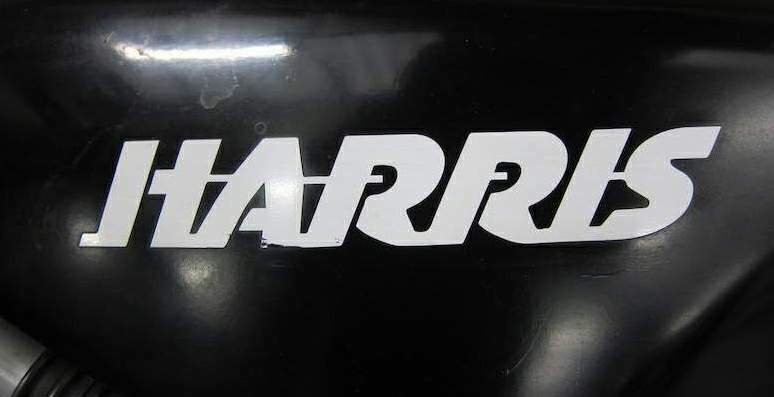 One of the most famous names in frame building, the Harris brothers - Steve and Lester - have been in business as Harris Performance Products since 1972. 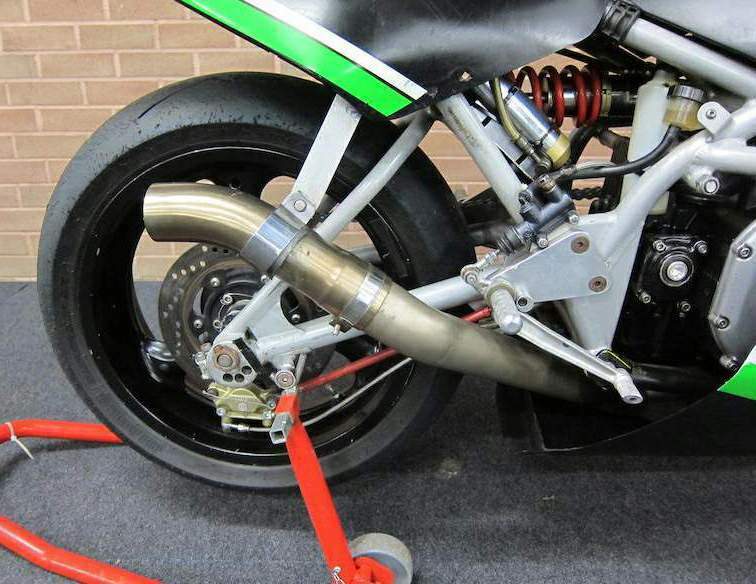 Engineers as well as motorcycle racers, they built their first frame – a tubular steel design with mono-shock rear suspension – to house a Suzuki Super Six engine. The Harris mono-shock rear end proved immensely successful and was used for a variety of frames housing (mainly) two-stroke racing engines. 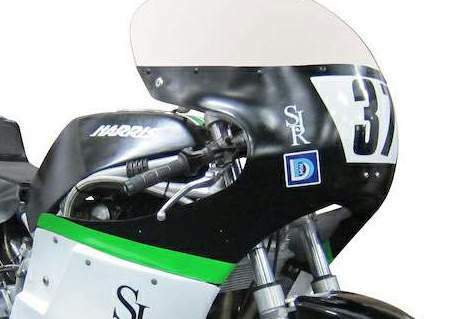 Their first venture into the world of production-based, large-capacity four-strokes came in 1980 when they built a Kawasaki Z1-engine machine for the TT Formula 1, which was raced very successfully by Andy Goldsmith and Mike Trimby. 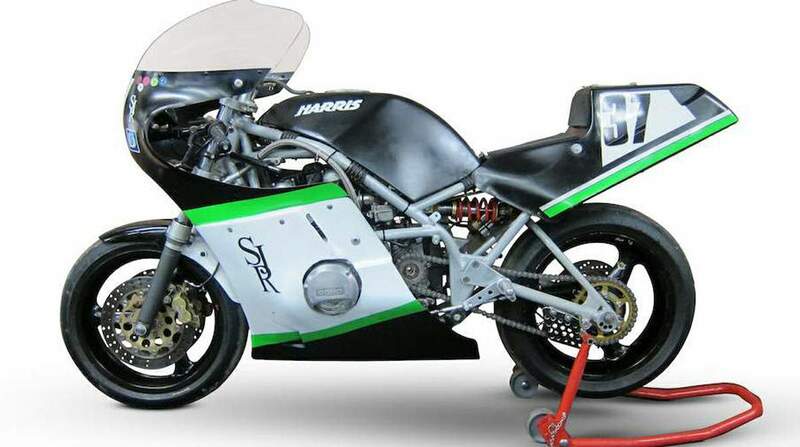 This design gave rise to the celebrated Magnum frame, which would be adapted to take engines from all the major Japanese manufacturers and prove an immense commercial success for Harris over the next decade. 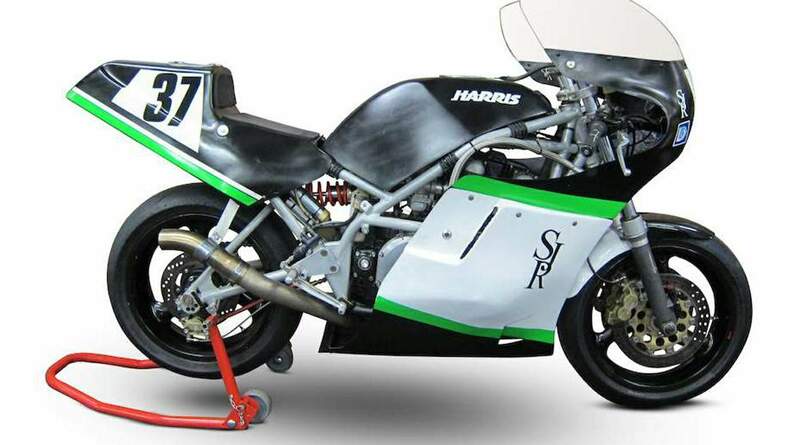 In the TT Formula 1 class, Harris Performance machines were raced by many famous riders including Mick Grant, John Newbold, Phil Read, Steve Parish, Martin Lunde, and Trevor Nation to name but a few. First registered on 18th July 1979, this collectible future classic is an original racing motorcycle. Ridden by Anthony Redmond, this machine won the 2015 F1 Classic TT 'P1' category for privateer machines, being awarded a Silver Replica with a fastest lap of 107.202mph and a top speed through the 'trap' of 148.47mph. 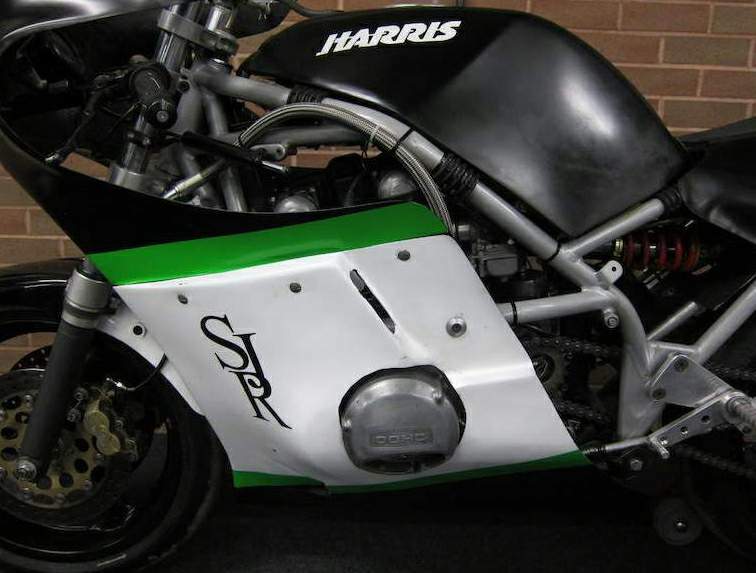 The rolling chassis consists of a Harris Magnum frame and swinging arm, Harris adjustable fork yokes, Marzocchi M1R forks (as fitted to the works Ducati 851s), a Paoli fully adjustable rear shock absorber, and Marvic race wheels: 3.5x17" front, 4.5x17" rear. Other noteworthy features include a Harris Magnum fuel tank, Ducati 300mm semi-floating front discs, Brembo Gold Line 4-pot front callipers, Brembo Gold rear calliper, braided brake hoses, new chain and sprockets, NRP 4-2-1 race exhaust system, Scitsu rev counter, Pingle high-flow fuel tap, and an oil cooler.